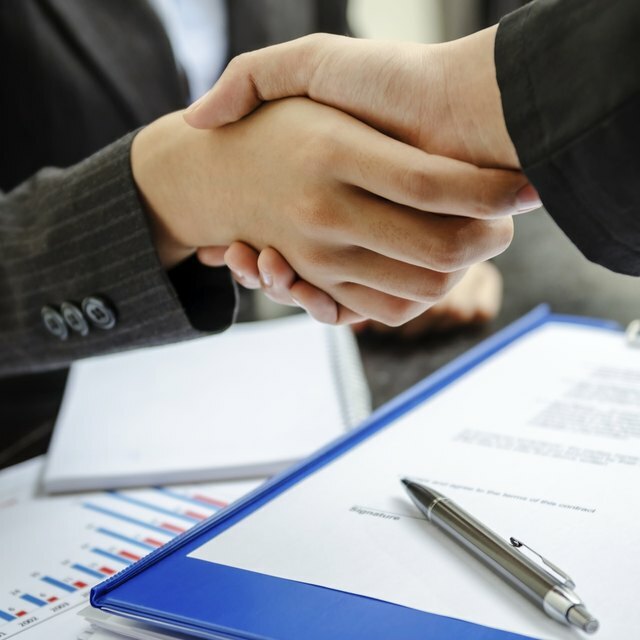 An omnibus contract, or omnibus agreement, is a document that lays out the specifics of a relationship among multiple parties, dealing with many different aspects of that relationship and stipulating the responsibilities of all parties involved. Such contracts are legally binding, usually stipulating certain penalties for violating the specifics of the agreement. The nature of an omnibus contract -- the fact that it covers a wide range of issues by definition -- makes it something that can be used in various types of business relationships to accomplish various goals. For instance, the agreement that a loan borrower or someone applying for a credit card signs may be considered an omnibus agreement because it covers various aspects of service, such as billing, theft protection and interest rates. Other situations that may require omnibus contracts are the formations of partnerships and joint ventures. Because it is a document that covers a number of issues, an omnibus contract will always have multiple parts. A common first part is the Recitals section, which outlines the common goals that the parties involved hope to accomplish by entering into the agreement. The Definitions section of an omnibus contract lays out clear and specific definitions for various terms that will be used throughout the contract to limit the possibility of disputes. The Indemnification section covers the issue of financial responsibilities resulting from the contract. For instance, if the contract sets up a partnership or joint venture, this section lays out all parties' responsibilities regarding its expenses. Other sections of an omnibus agreement can vary depending on the type of relationship it establishes, but one common point that partnerships and joint ventures tend to include in their contracts is a multilateral agreement not to create any competing enterprise in the future. When parties get together to draft and sign an omnibus contract, it becomes a legally binding document. If an involved party violates or fails to meet any stipulation of the omnibus contract, the other party/parties may use the omnibus contract as evidence to recover losses in civil court. Due to the weighty nature of an omnibus contract, it must be written in very specific and correct language. Because of this, companies commonly employ qualified business attorneys to help draft their omnibus contracts, making sure that they contain all necessary information in a manner that is not ambiguous.